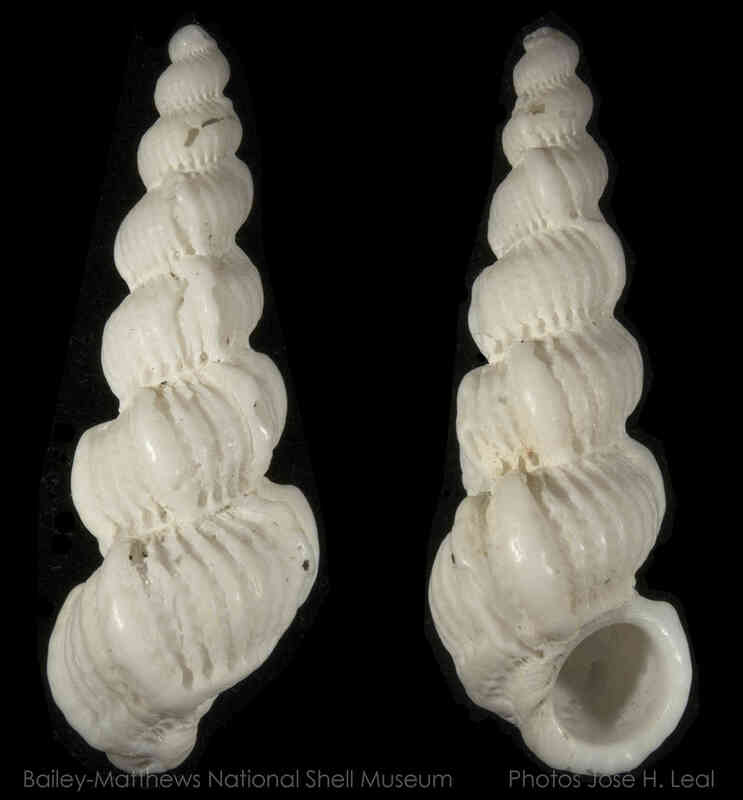 Shell size to 36 mm. 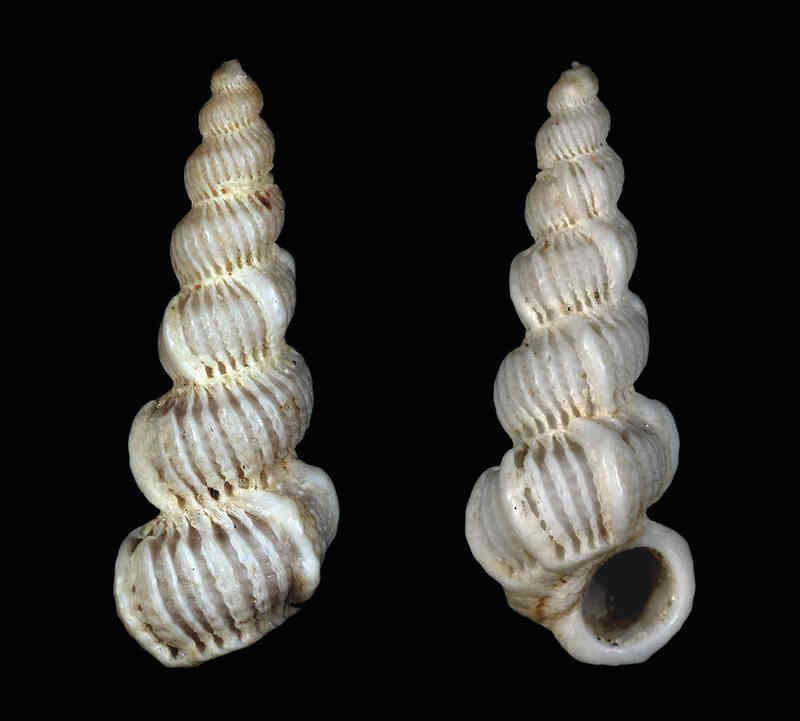 Shell slender, chalky, shell surface with ribs and background pattern of spiral cords. About 2-3 thicker ribs per whorl are present. Species in this genus display an outer shell layer called intritacalx, which easily wears off in older shells. Dall wentletrap is more commonly found in deeper water. 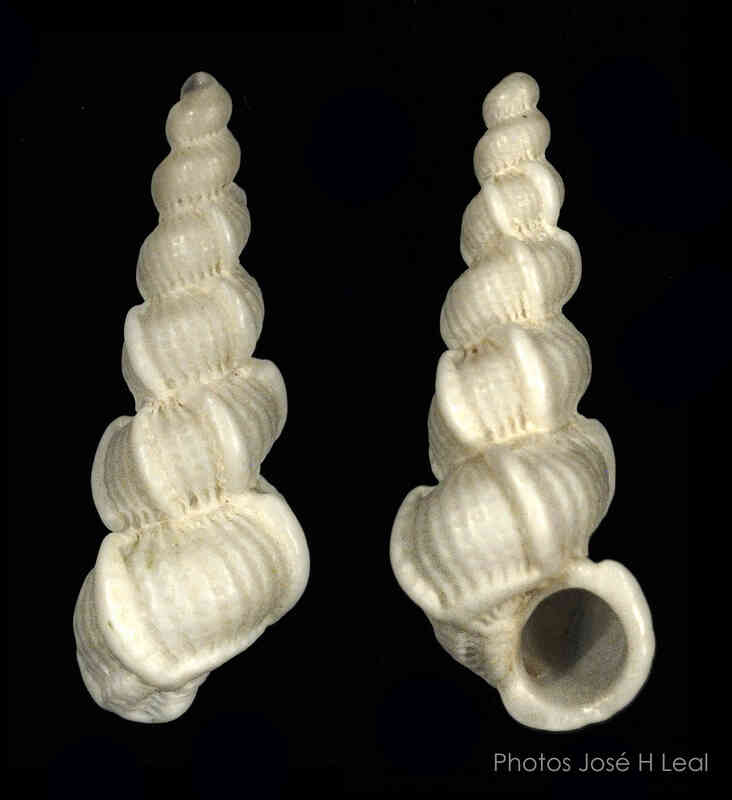 The shell in the main image was collected in 2012 by Donnie Benton under the Blind Pass Bridge (between Sanibel and Captiva). Its shallow-water occurrence may have resulted from beach nourishment efforts that took place that year. Another shell was found by Jeanne Richards on Captiva in January 2016; this shell is shown in the first supplementary image. A third shell was found by Susan Bunkin on a beach location off West Gulf Drive on Sanibel (second supplementary photo), in January 2017. The species identification confirmed by Dr. Emilio García of Lafayette, Louisiana.